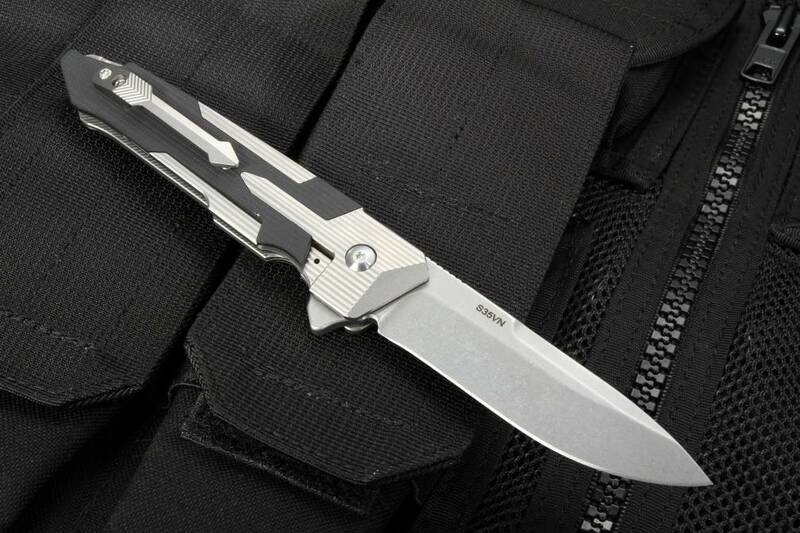 Art meets tactical folding knife in this Spartan Blades Kranos flipper. Elegant Art Deco styling with tough, high quality materials. 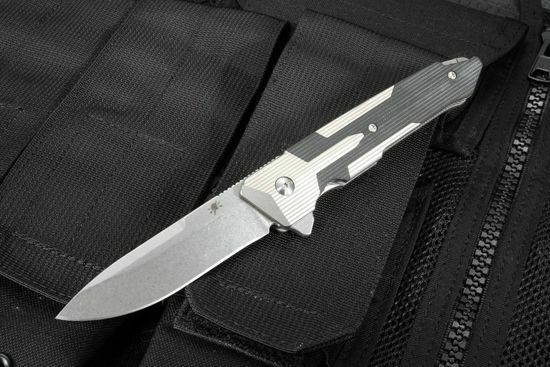 The spear point blade is constructed of American Made CPM S35VN steel with a fine stone wash finish. 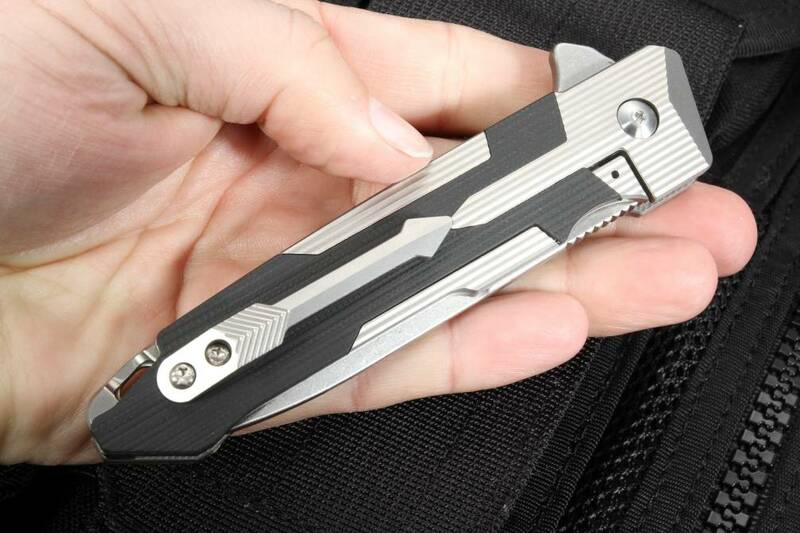 Integral flipper for easy right or left-hand operation. Jimping on the thumb rest of the blade spine provides added grip. 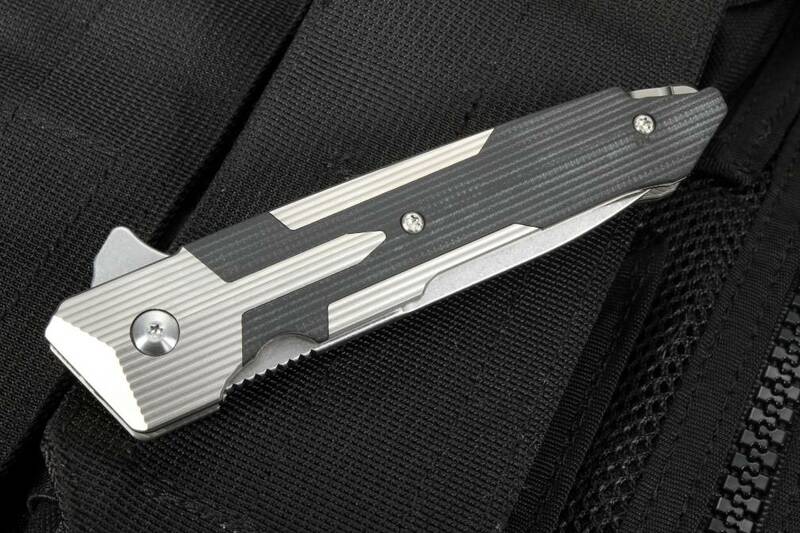 Aerospace grade 6AL4V titanium frame, spacer, and pocket clip feature a lightly blasted finish. 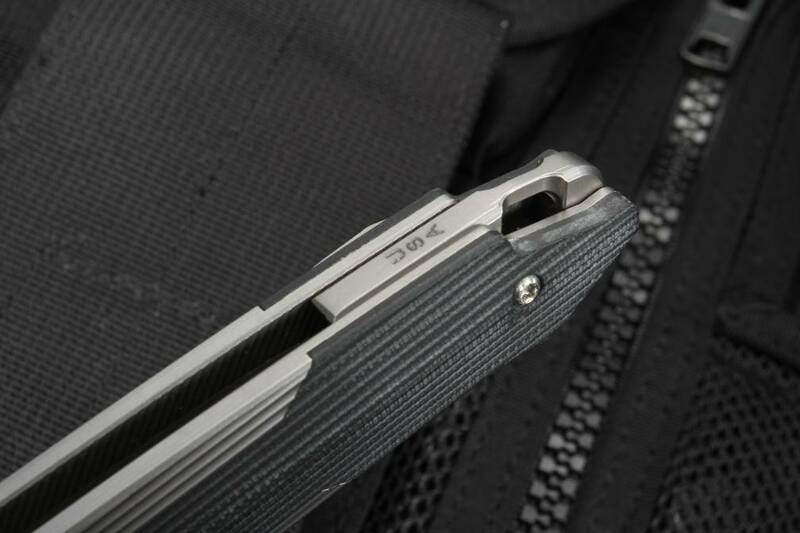 The textured finish of the titanium matches up with the textured G-10 handle inserts. Integral lanyard bale/spacer. Solid frame lock design. Black G-10 inserts also serve as a lock bar stabilizer. 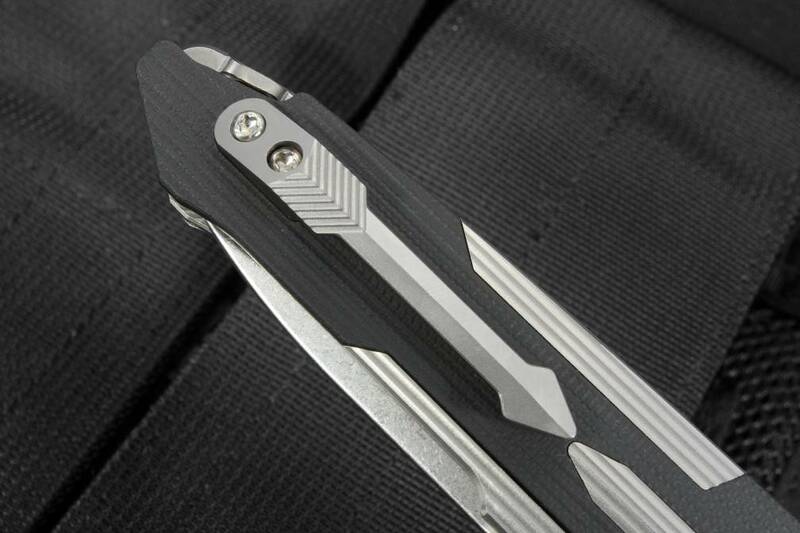 Machined titanium pocket clip is mounted for blade tip up carry. The Spartan Blades Kronos folding knife is made in the U.S.A. with pride and precision.